They’re both creators of Dutch masterpieces – so it makes sense that a pram combining the many talents of Vincent Van Gogh and Bugaboo would be a beautiful work of art. The artist’s spring-inspired Almond Blossom painting has been chosen as the muse for the new limited edition Bugaboo Bee 3 + Van Gogh collection, unveiled today. And it’s divine. Van Gogh painted the stunning still life of French almond blossom against a crystal-clear blue sky as a symbol of new life and an ode to his newborn nephew, Vincent Willem, in February 1890. Some 125 years later, Bugaboo says that emphasis on new beginnings makes Almond Blossom – with its bold lines and bursts of colour – the perfect pattern for the start of a baby’s life journey. 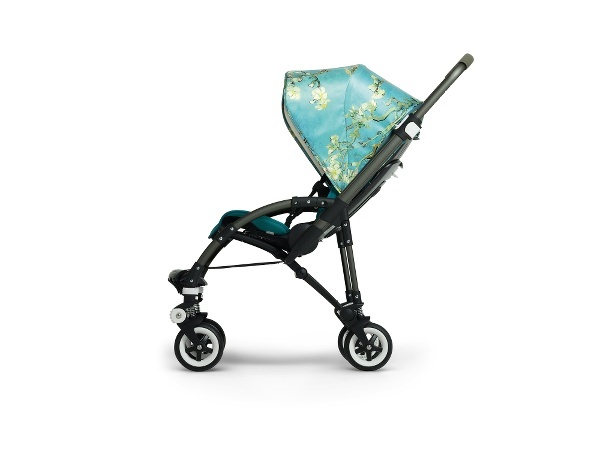 The company says it’s long been inspired by Van Gogh’s meticulous craftsmanship and attention to detail, as anyone who’s used a Bugaboo can attest. 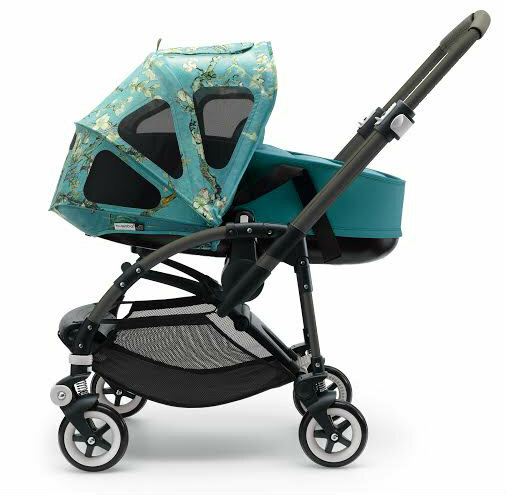 The fully equipped stroller’s coated green chassis and matching faux leather handlebar take on the colour of the tree’s branches, while the seat fabric and bassinet are petrol blue to reflect Van Gogh’s sky. The silky sun canopy and the footmuff are covered in the Almond Blossom print, with a complimentary colour on their undersides. It’ll give you a feeling of spring, even in the dead of winter. Of course it also has all the features we already love about Bugaboo Bee3 – its lightweight frame, ample-sized underseat basket, water-repellent fabric with great ventilation, and versatility. Now for the all-important pricing info. 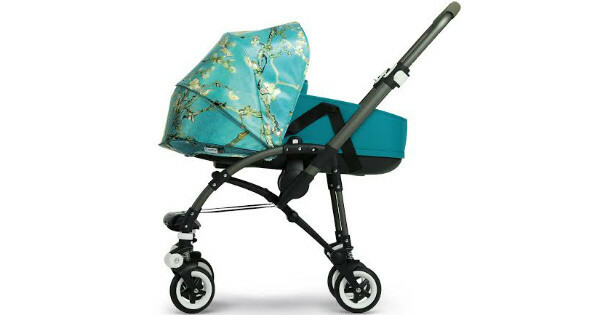 The collection includes the Bugaboo Bee3 Complete Van Gogh, with chassis, seat and sun canopy for $1149. Matching accessories include a tailored fabric bassinet selling for $175, footmuff for $230 and the Breezy Sun Canopy for $120. The Bugaboo Bee3 Complete Van Gogh with matching bassinet sells for $1489. 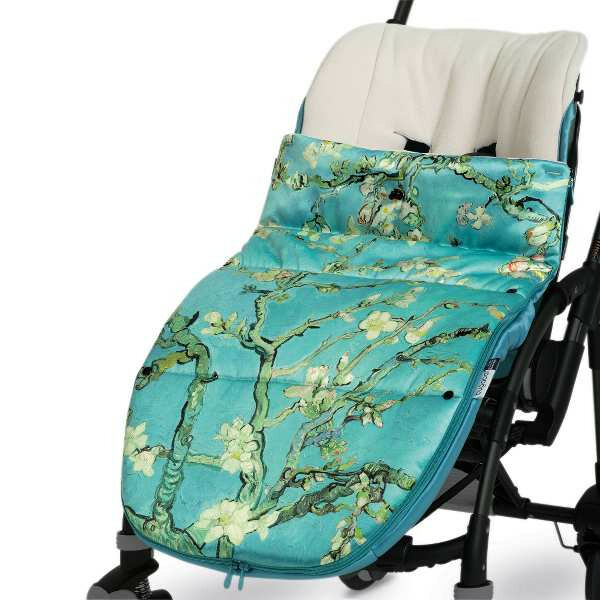 As for Van Gogh’s nephew, Vincent Willem – well, he went on to found the Van Gogh Museum, which has collaborated with Bugaboo for this special series. The collection will be available in a limited edition in stores worldwide from April. To find a stockist, head over to Bugaboo. If you want to know more about these iconic prams, be sure to check out our previous Bugaboo posts.